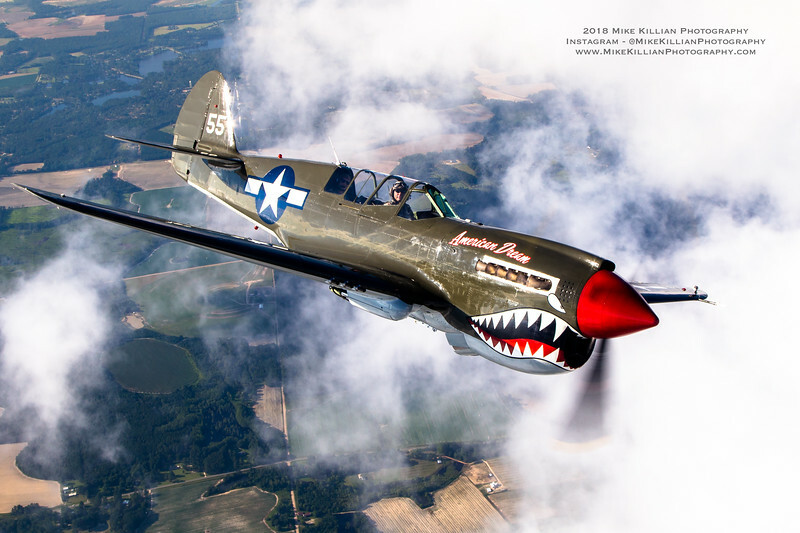 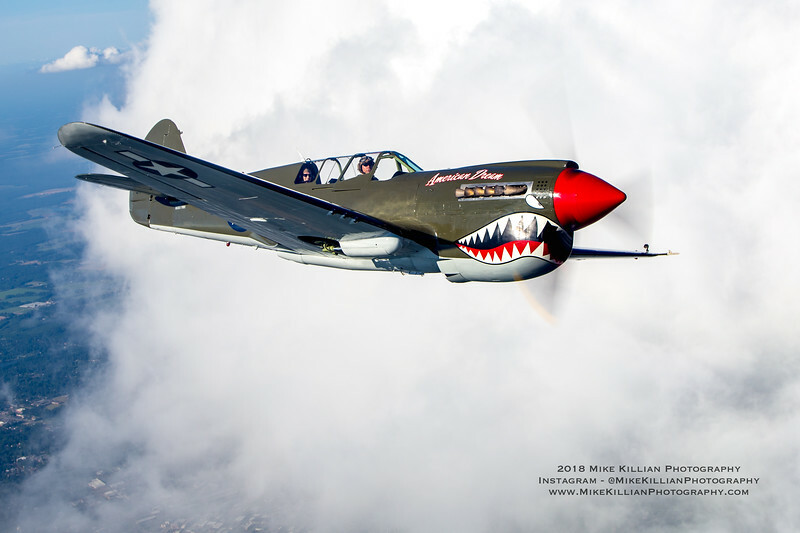 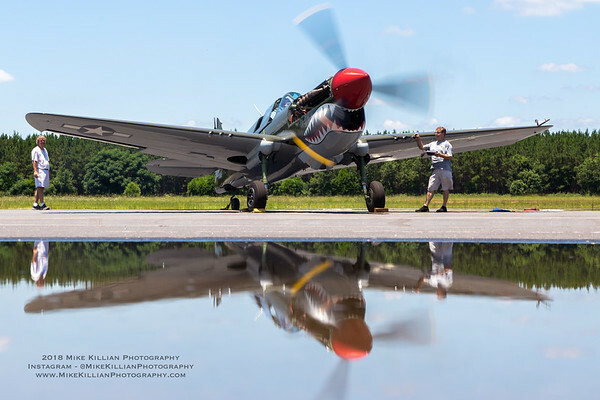 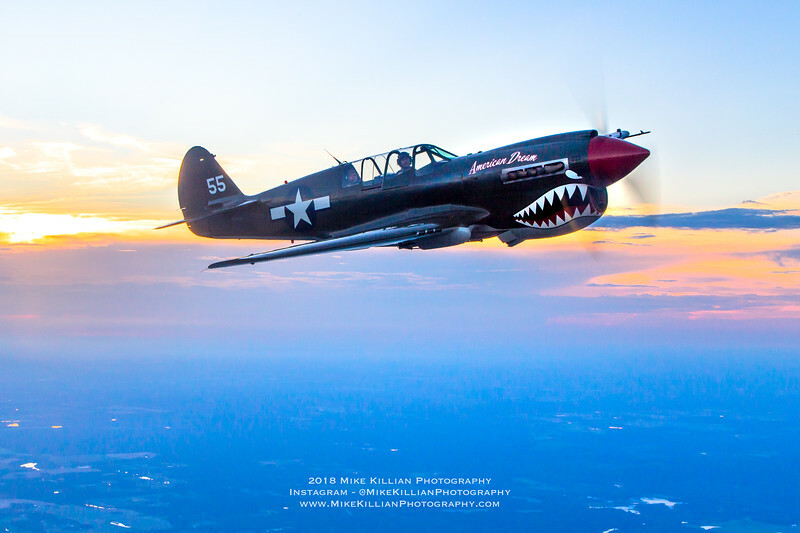 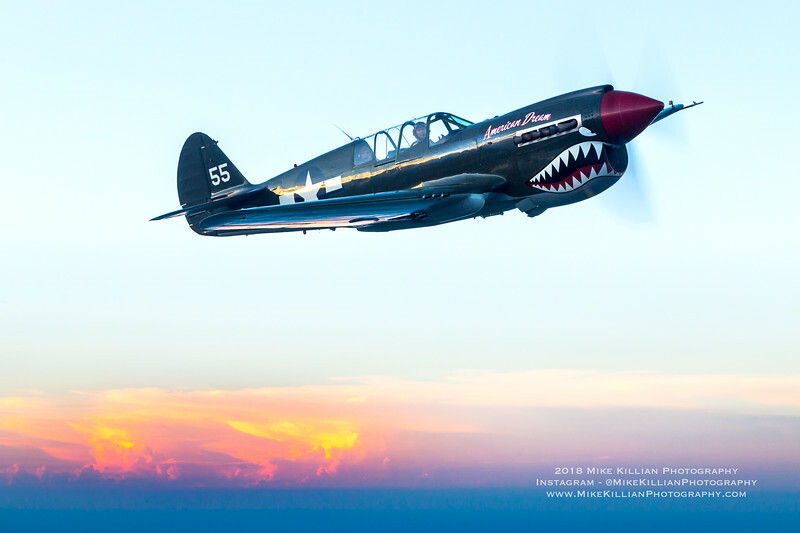 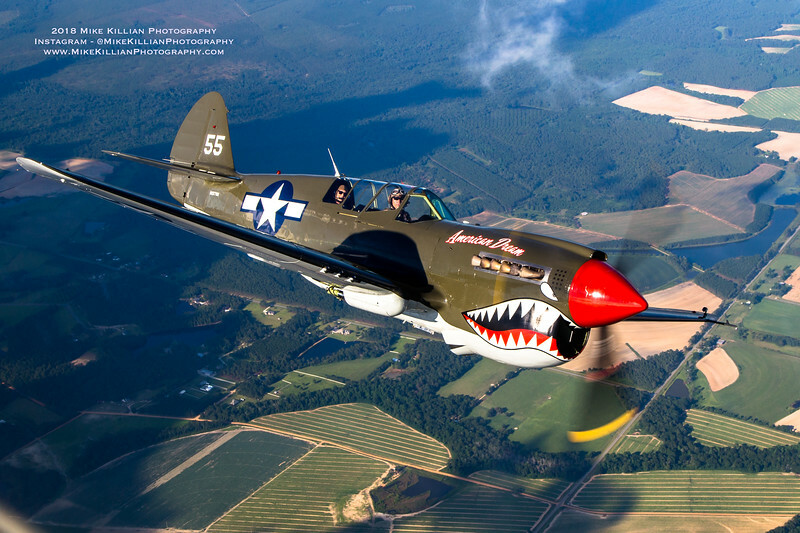 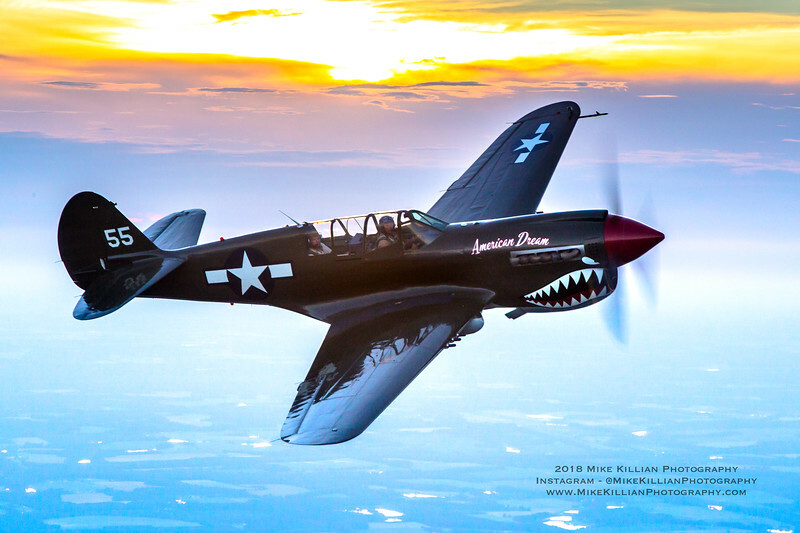 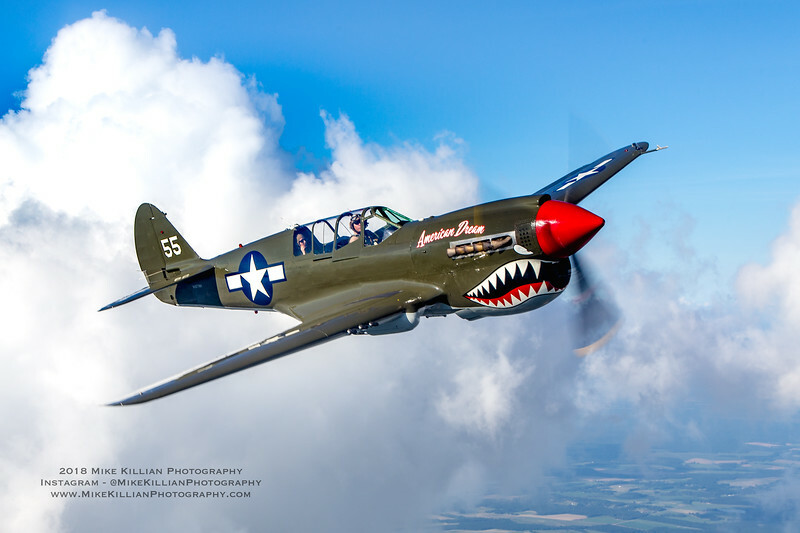 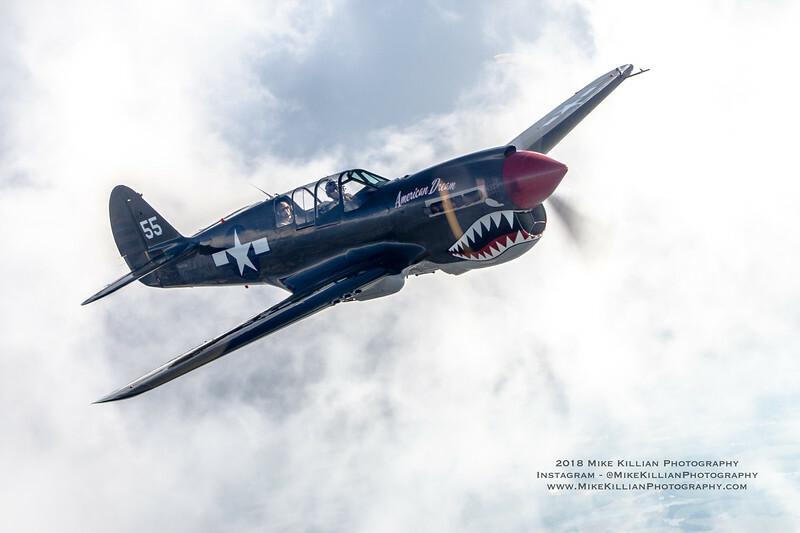 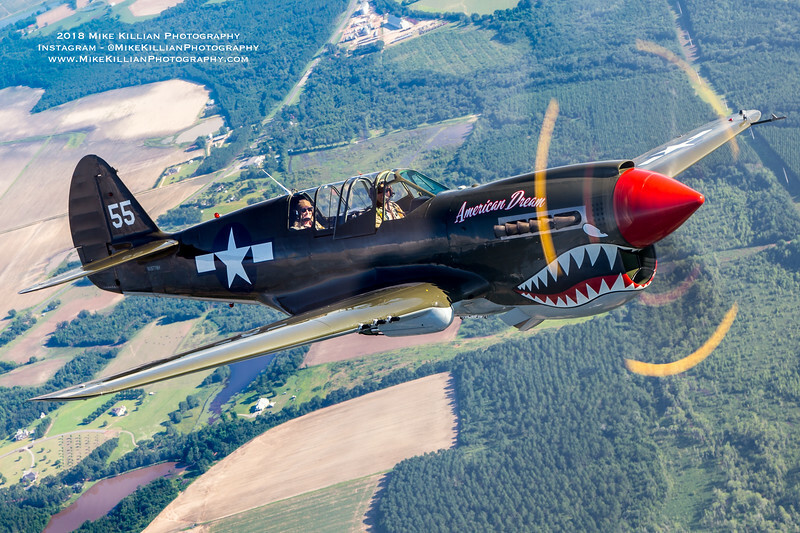 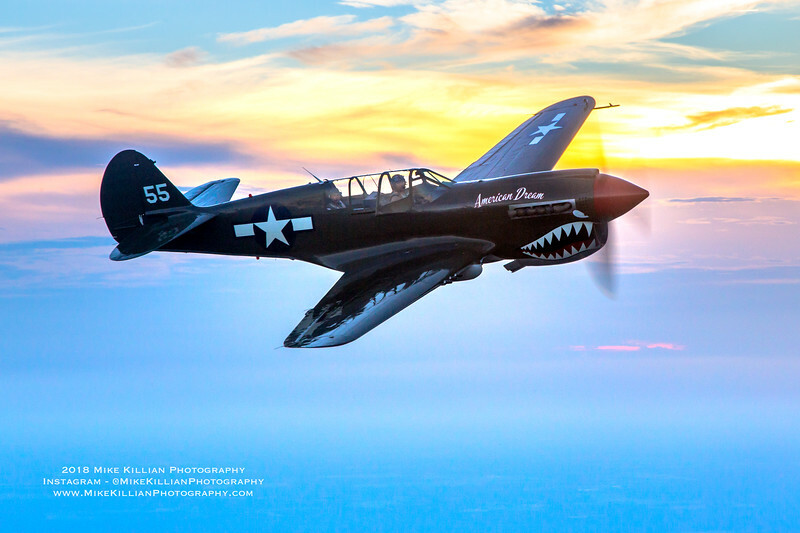 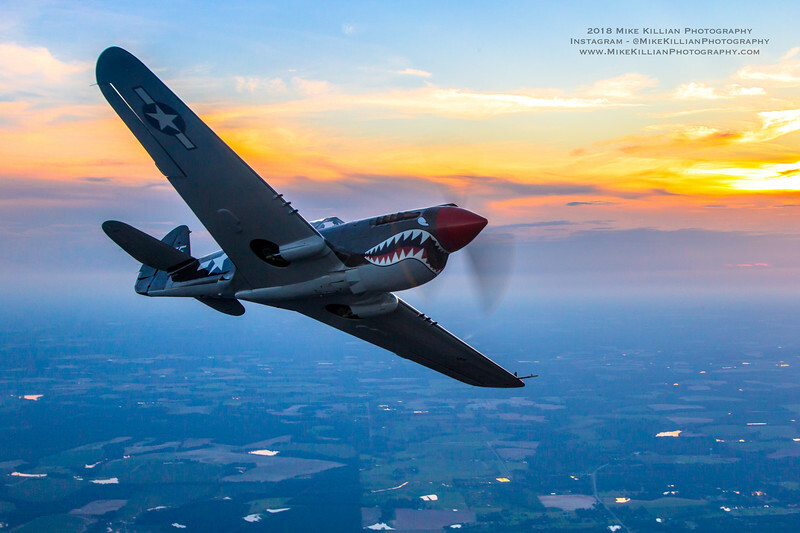 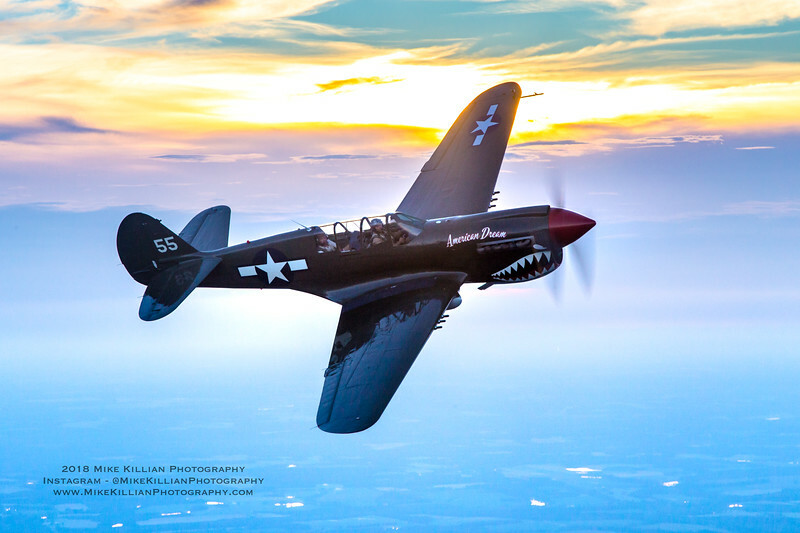 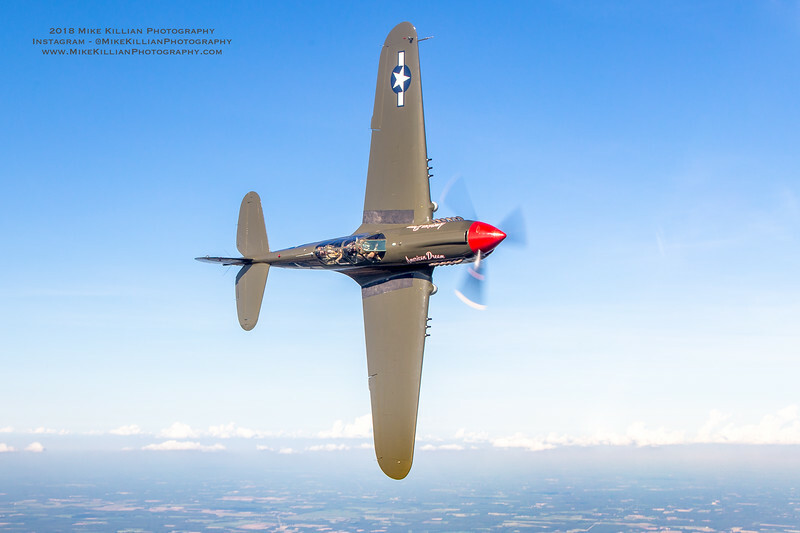 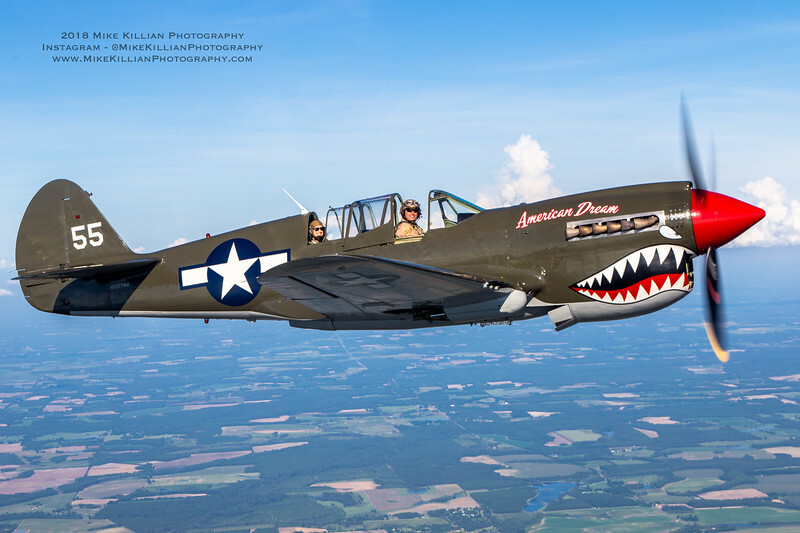 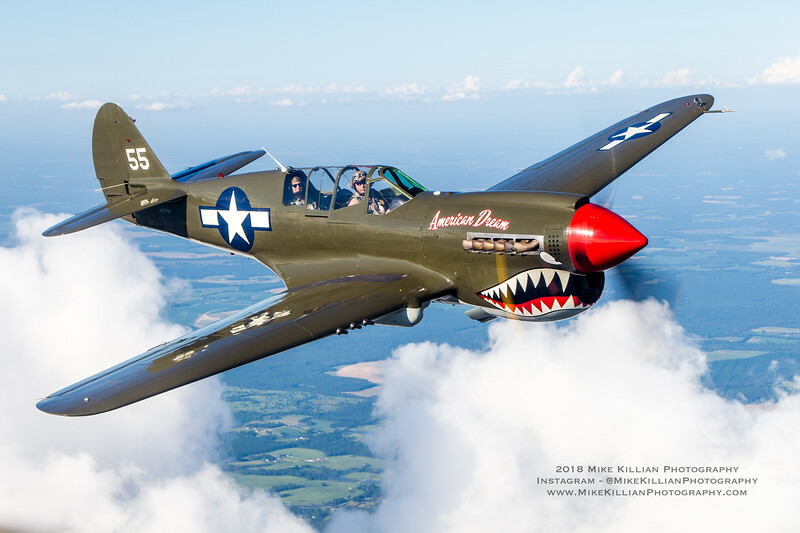 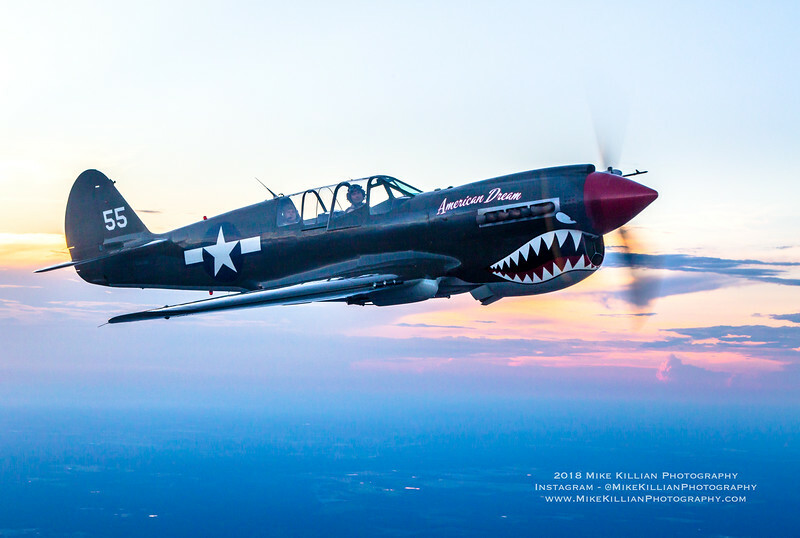 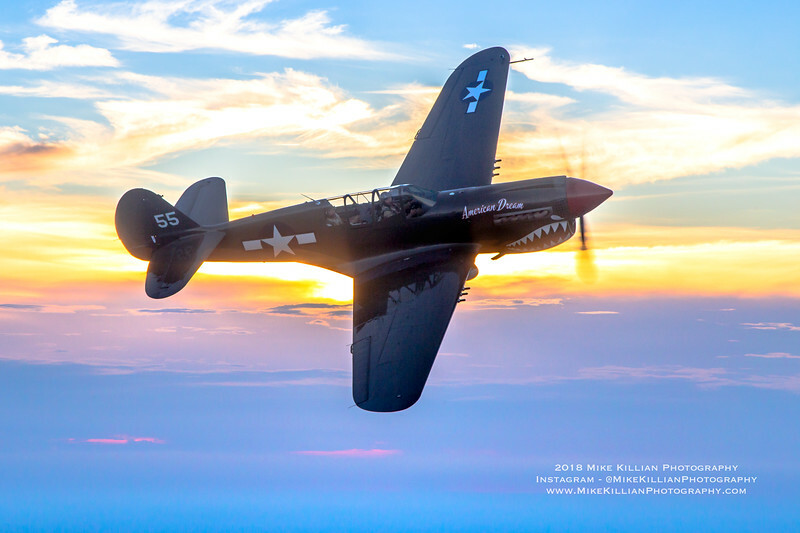 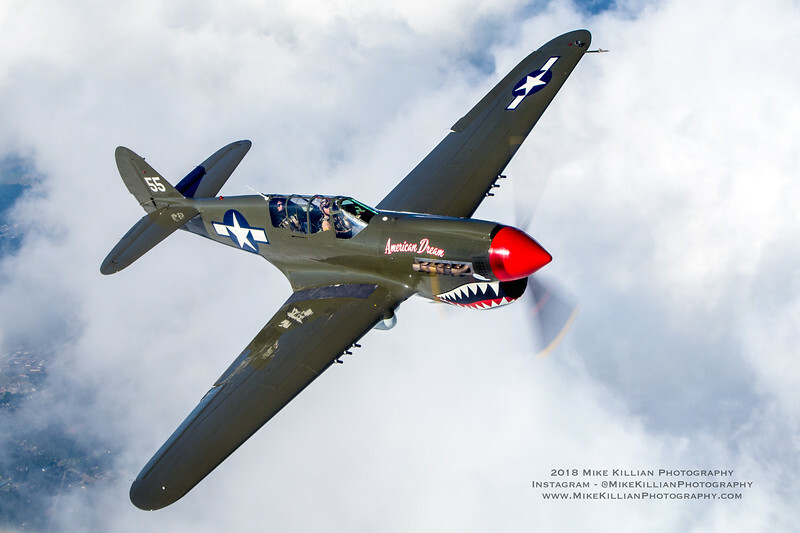 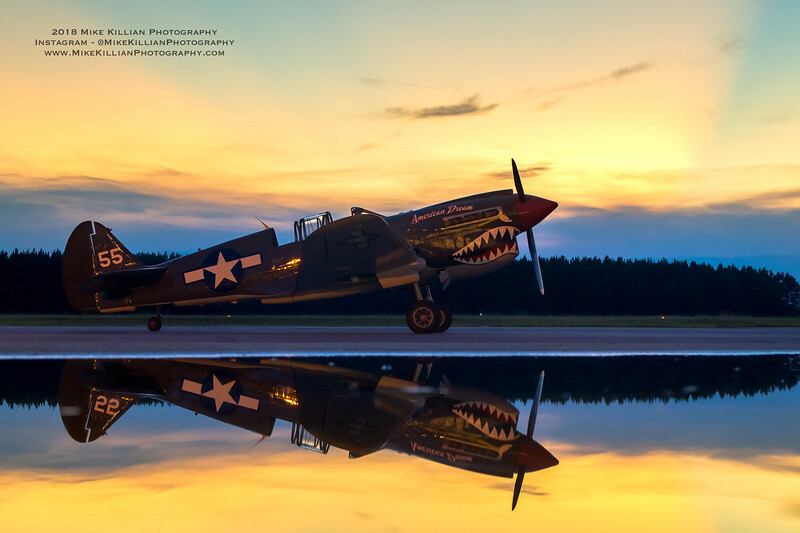 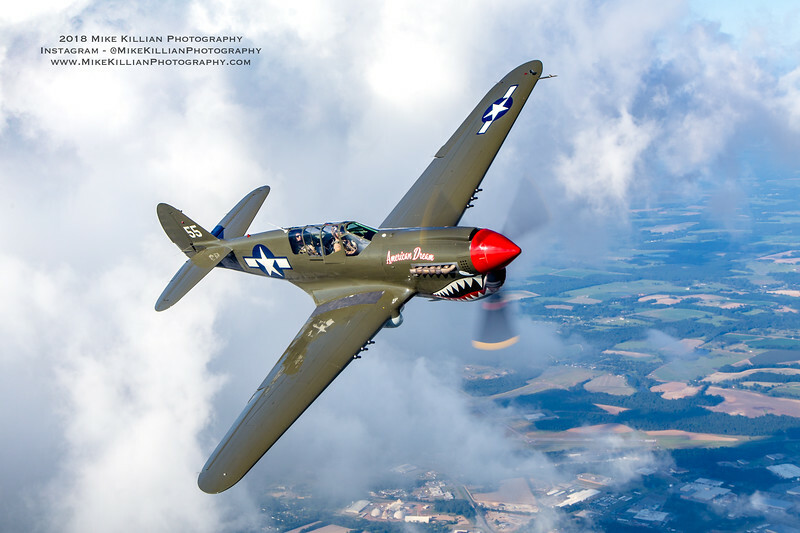 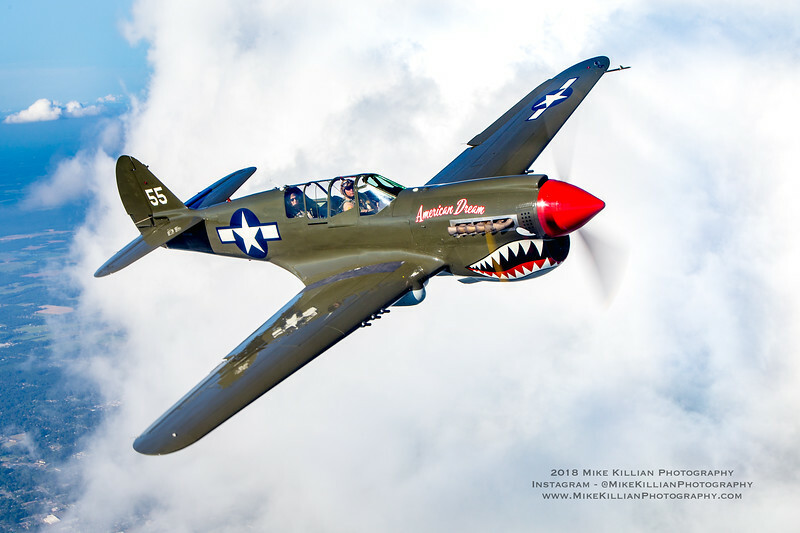 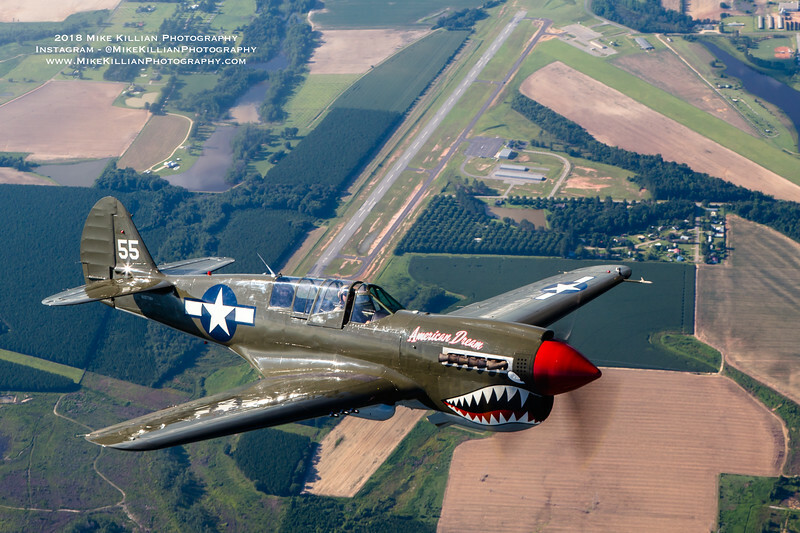 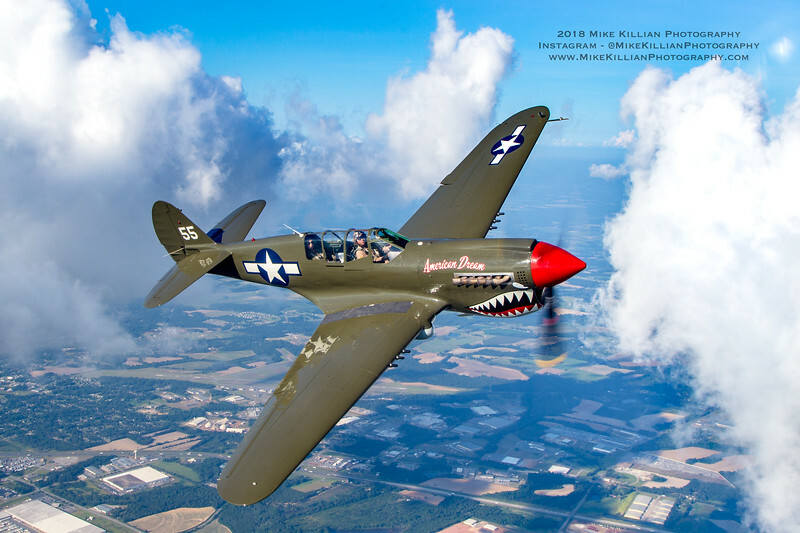 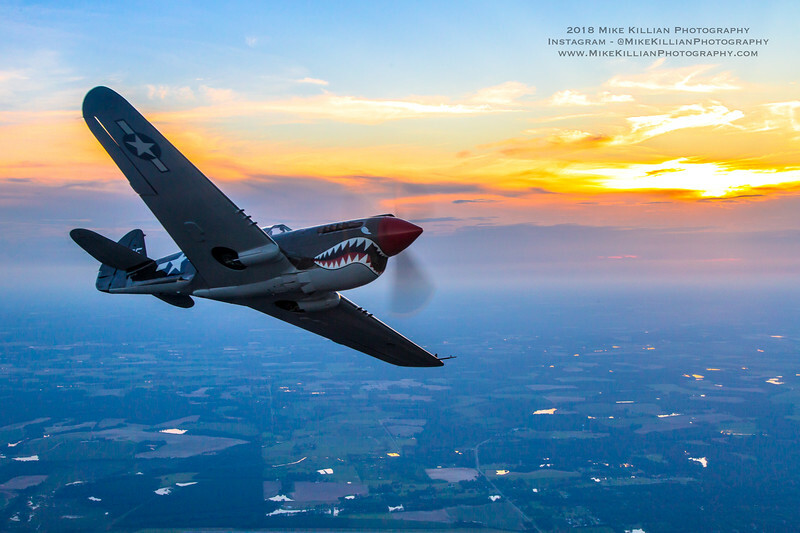 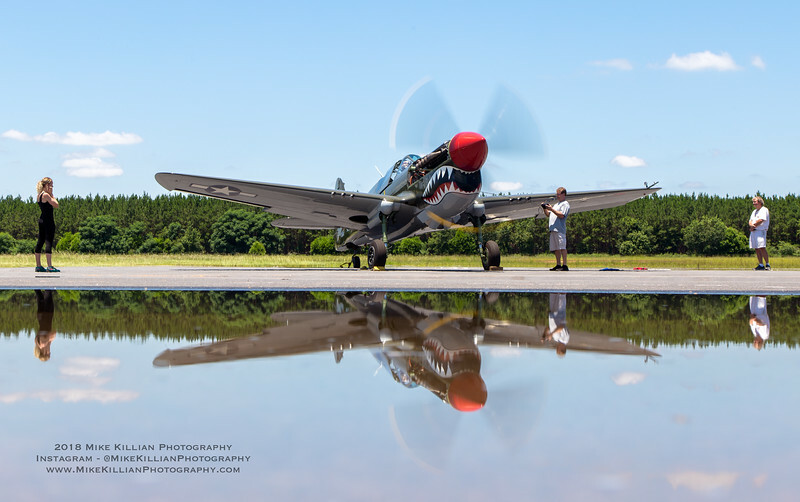 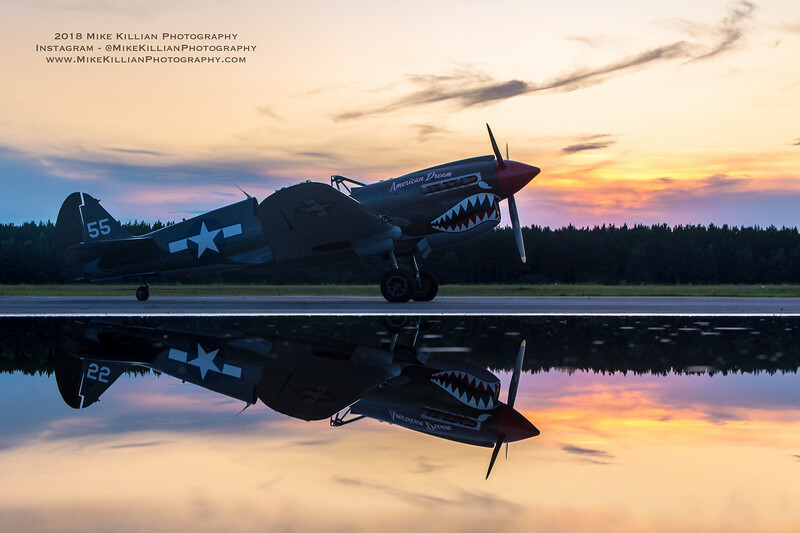 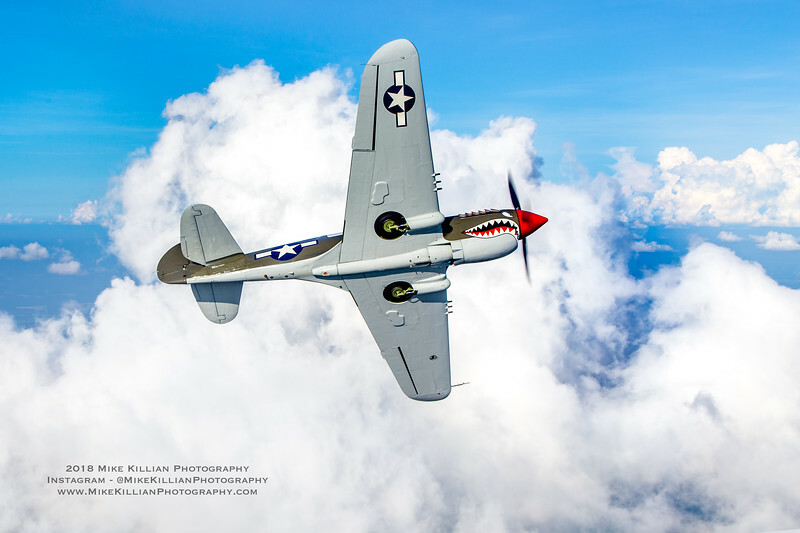 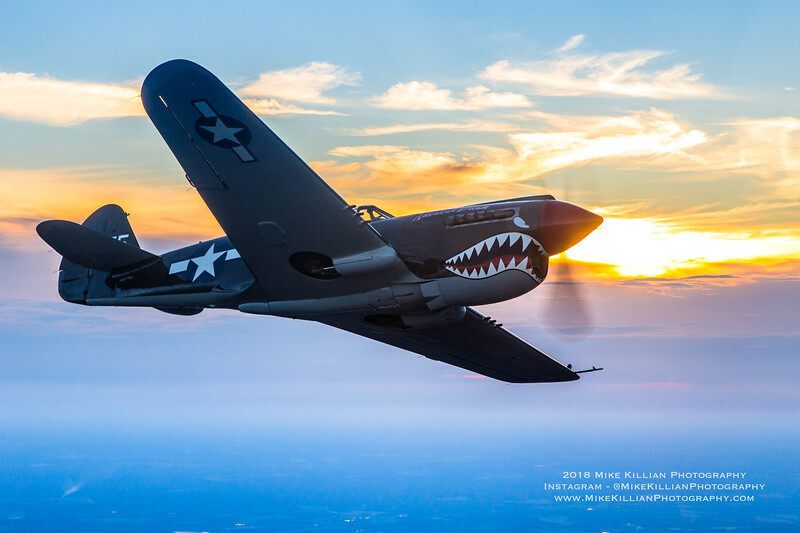 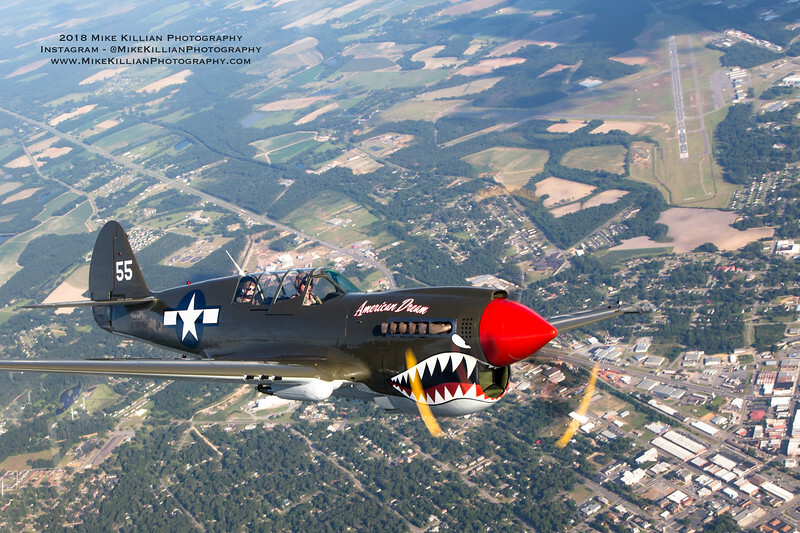 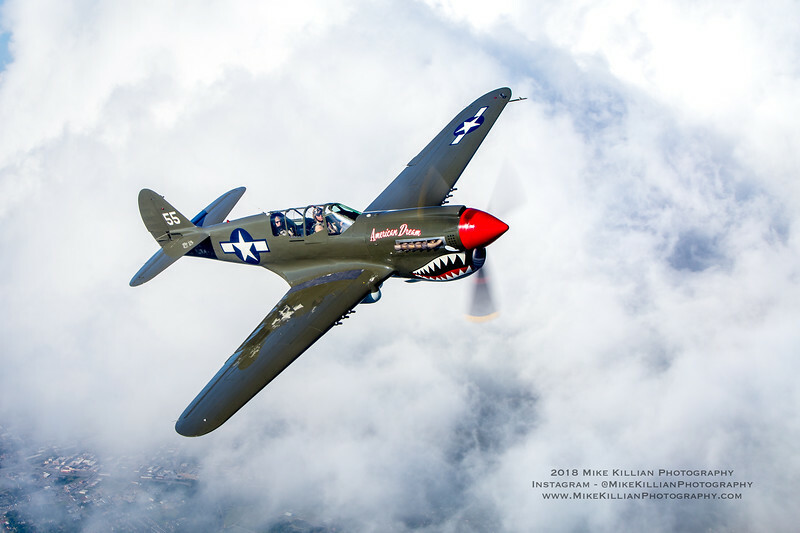 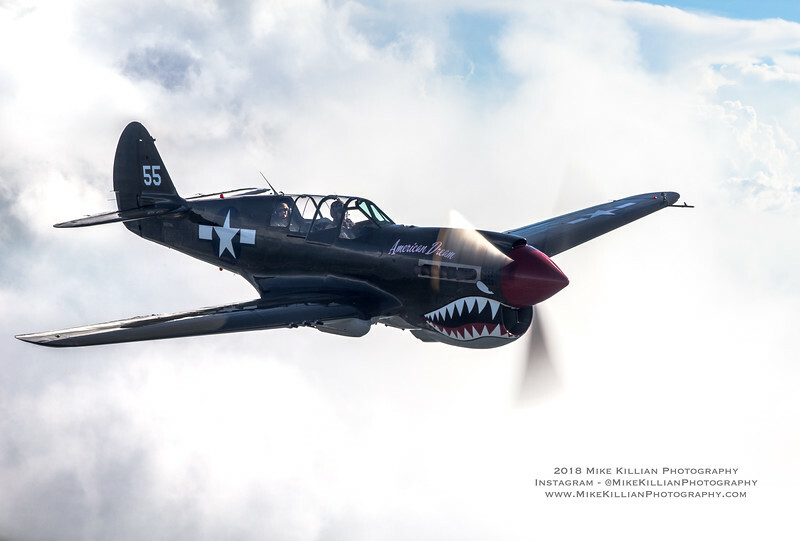 Meet AMERICAN DREAM, a rare two-seat P-40 Warhawk fighter acquired by Thom Richard & his company, Warbird Adventures, based in Central Florida. 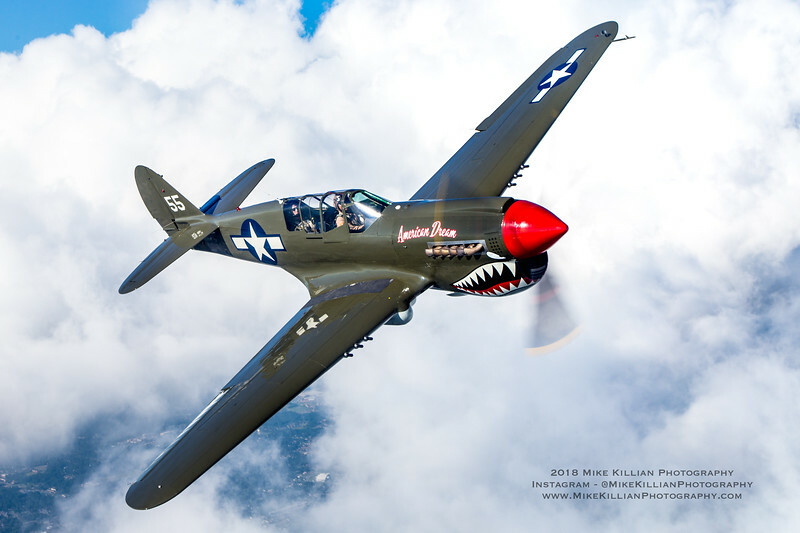 It's one of only five known TP-40N Warhawks in existence, & the only TP-40 in the world offering dual instruction. 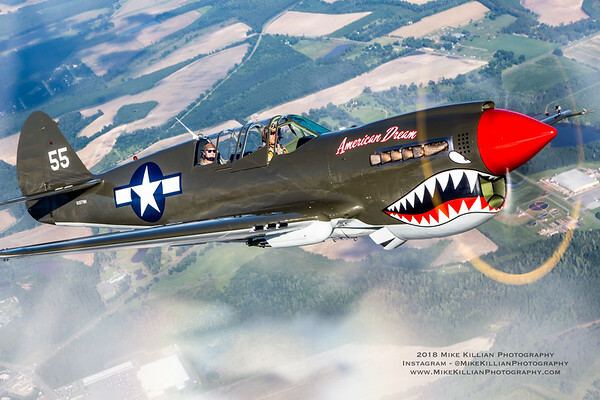 If you ever wanted to fly the mighty Sharkmouth, now you can, and at a cheaper rate than a P-51 Mustang too. 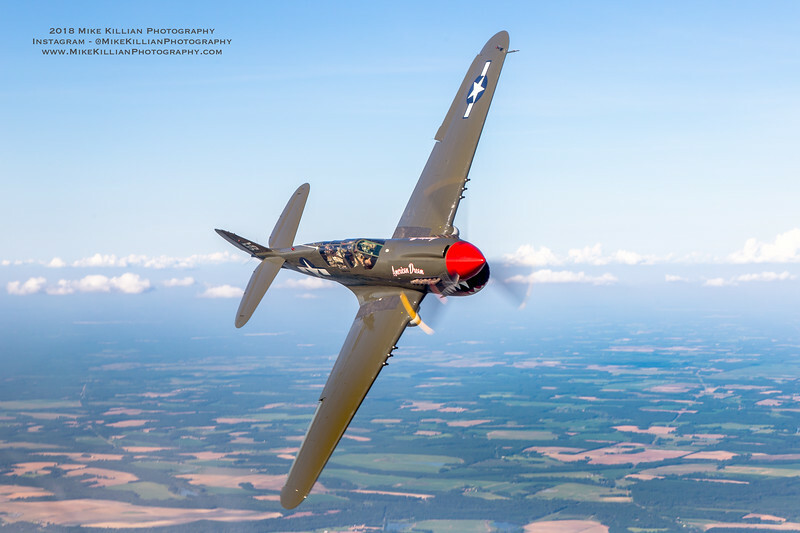 Before revealing the news to the world, Thom and I went up for two shoots in summer 2018 with his new warbird, here's a few images from the 2 shoots we did. 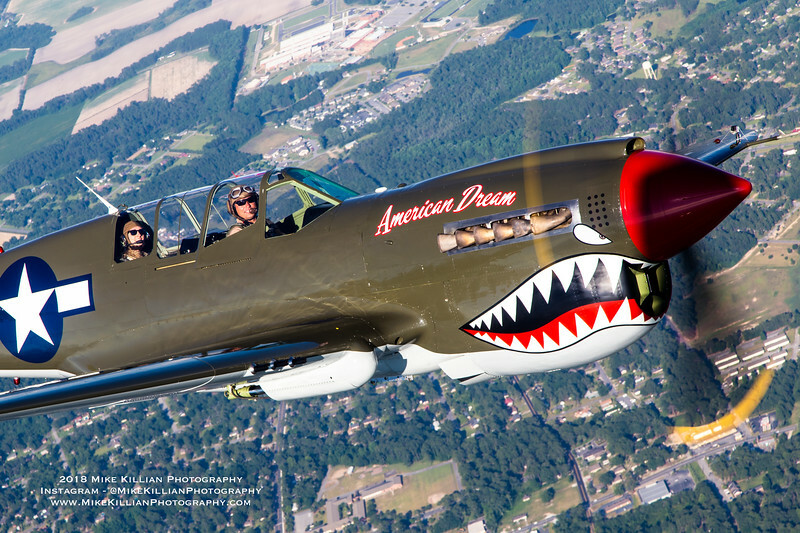 - LIKE P-40 Warhawk American Dream on Facebook and Instagram! 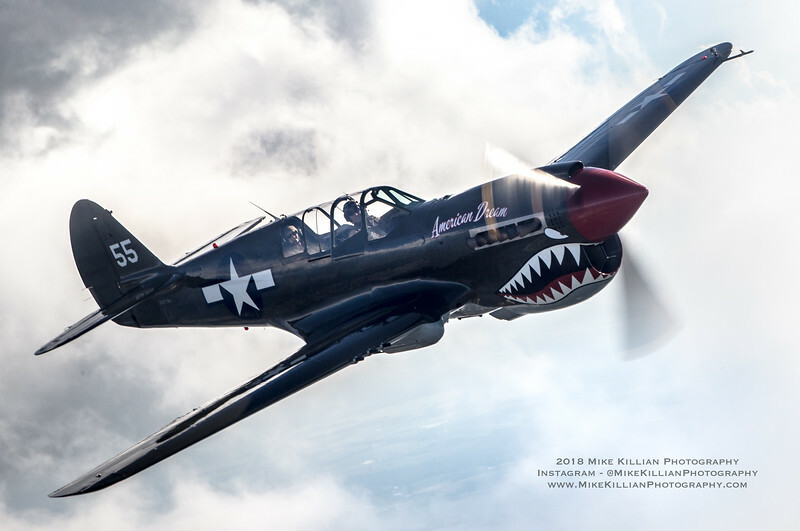 The plane does have a history behind it, having served originally as a warfighter with kills, and was itself shot down, before being salvaged years later. 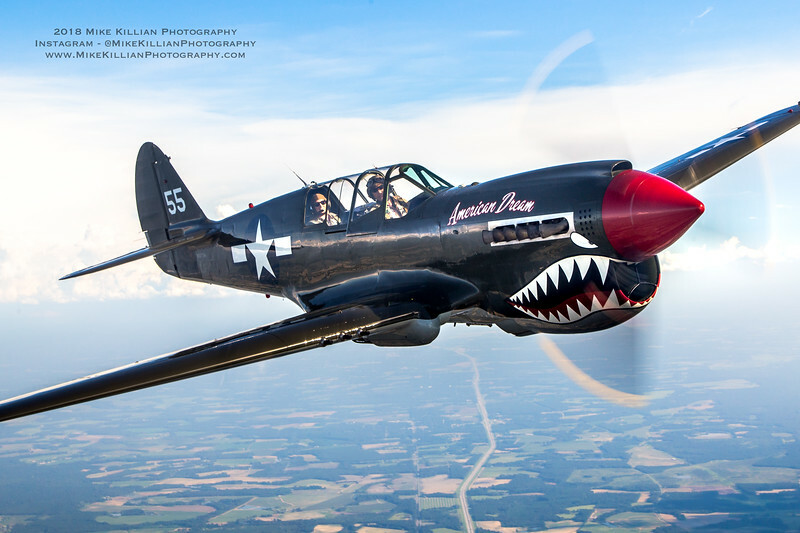 She's available for bucket list flights to the public, transition training to fighters, and touring as a fully aerobatic airshow act. 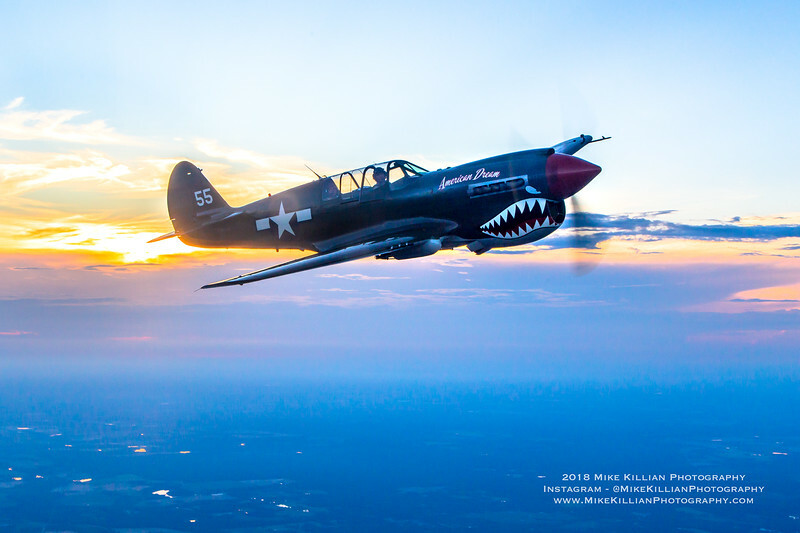 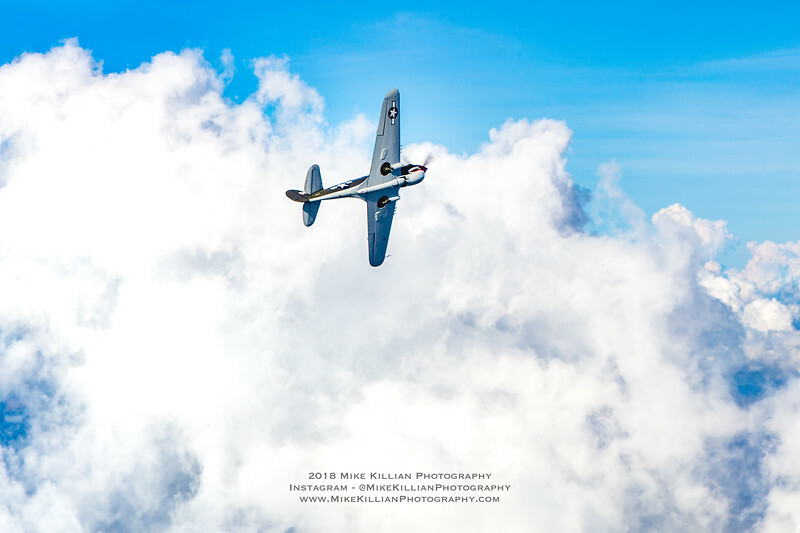 Additionally, American Dream is also partnered with Mike Killian Photography to serve as a photography / videography platform for producing air-to-air in-flight imagery of other aircraft. 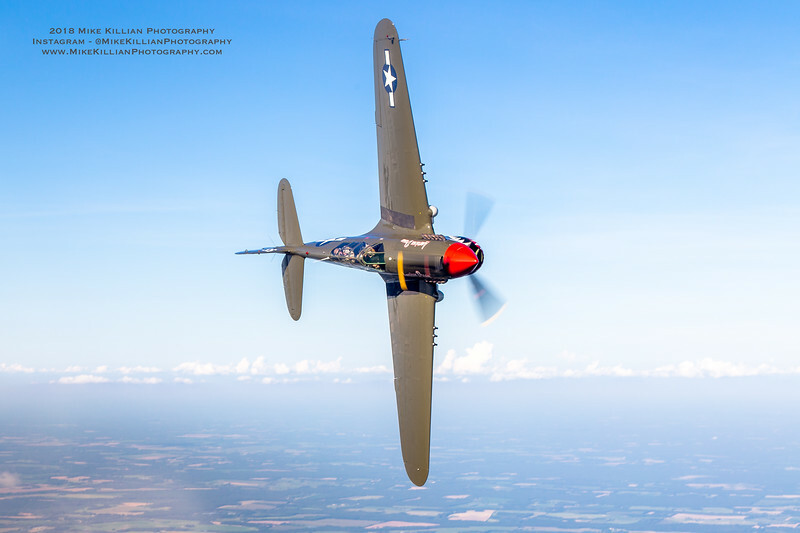 You'll be hard pressed to find a photo ship anywhere capable of providing an open canopy at 250 mph. 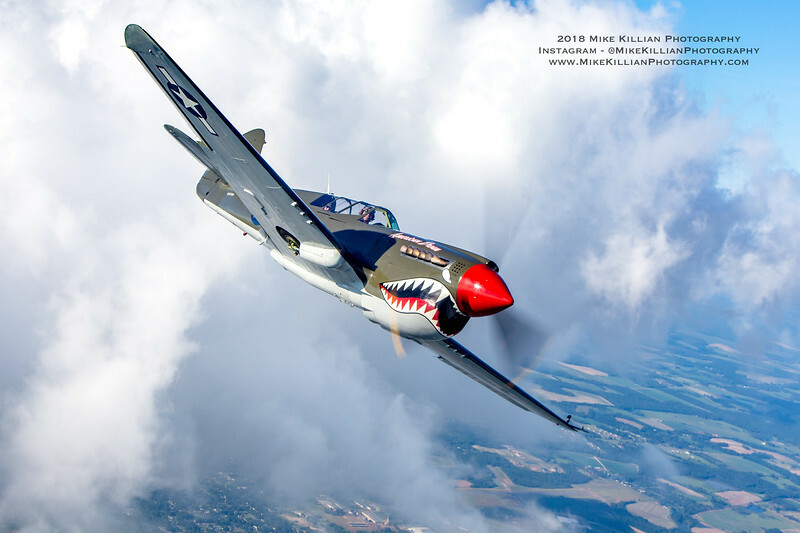 Airlines and corporate business jets are highly encouraged to take advantage of our unique capability! 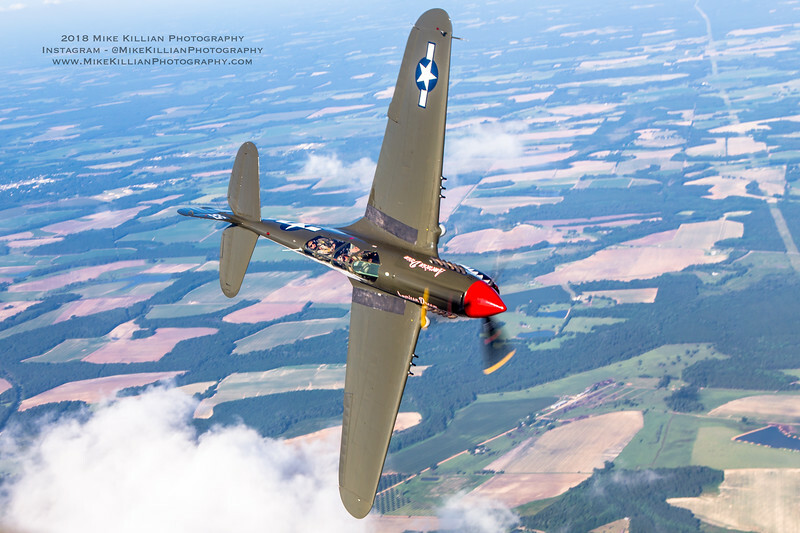 ABOVE: Some behind-the-scenes on two of our photo shoots.